Raspberry Pi mini-computers that has fascinated DIY enthusiasts for years now has been modified yet again. This time, a DIY enthusiast and a Youtuber, Electronics Grenade has created a mouse that is actually a completely functional computer. While the YouTuber’s original plan was to squeeze a Raspberry Pi inside of a regular computer mouse but was unable to do so due to size constraints. Hence, he 3D printed a computer mouse to fit the components of the computer inside the mouse. 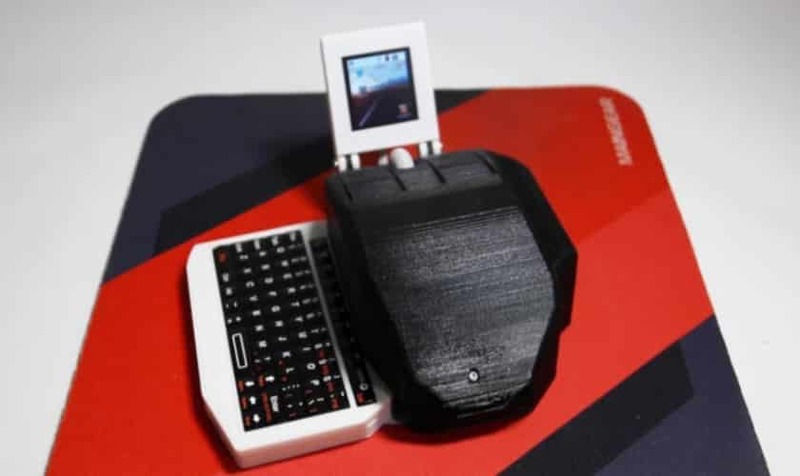 Dubbed as “The Computer Mouse”, the device consists of a Raspberry Pi Zero W computer, a 1.5-inch color OLED LCD display with a resolution of 128 x 128 pixels, a 3D-printed mouse, a rechargeable 500 mAh battery, and a tiny Bluetooth retractable keyboard for text inputs and more complicated commands. It also has a power button at the edge to start the tiny computer. Further, it runs GNU/Linux-based operating systems such as Raspbian. While the specifications of the mouse computer may sound good, it has its faults too. The machine cannot withstand heavy tasks and may cause the mouse computer to crash occasionally, as it does not have a powerful Raspberry Pi Zero. Also, the retractable keyboard appears like a recipe for carpal tunnel. However, the device allows you to perform tasks like writing a document and even play Minecraft, which is pretty cool. That is amazing I love to see things like this.